We represent the ultrafast, connected future. A future built on fiber. We’re an industry building powerful, reliable and fast network platforms and services that connect homes, businesses, and communities to economic opportunities and better living, everyday. 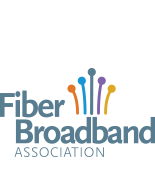 As the way we live, work and do business moves ever more online, members of the Fiber Broadband Association build and support networks that are futureproof -- built once and built right. We make networks futureproof with fiber. To be the voice for ultra high-speed wireline broadband deployment throughout the Americas. Want to futureproof your community's network infrastructure? Sign up to receive the latest news, events and industry information in your inbox every Friday. Non-members can receive the Connection newsletter at the end of each month. We use our voice and expertise to advocate for all-fiber networks by showing how people, businesses and communities benefit from ultrafast broadband.